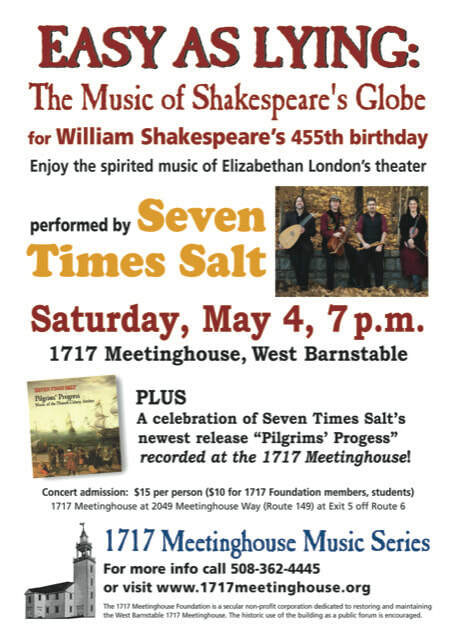 The 1717 Meetinghouse Foundation Inc.
Save these dates for the 2019 Event Season! We celebrated the 300th birthday of the 1717 Meetinghouse during 2017 and 2018. Construction was a two-year process. Learn about the Revere bell that hangs in the tower - the present bell is from the Revere family, fabricated between 1828 and 1835 - a mystery uncovered by two history sleuths. The meetinghouse underwent many changes over the years with a major design alteration in the mid-19th-century. The Barnstable Patriot helps the Meetinghouse celebrate! Read the story here. From the creative minds of videographer Matt Weider and original music by Shawn Malcomson. The Trustees express gratitude to you both for this excellent short film. 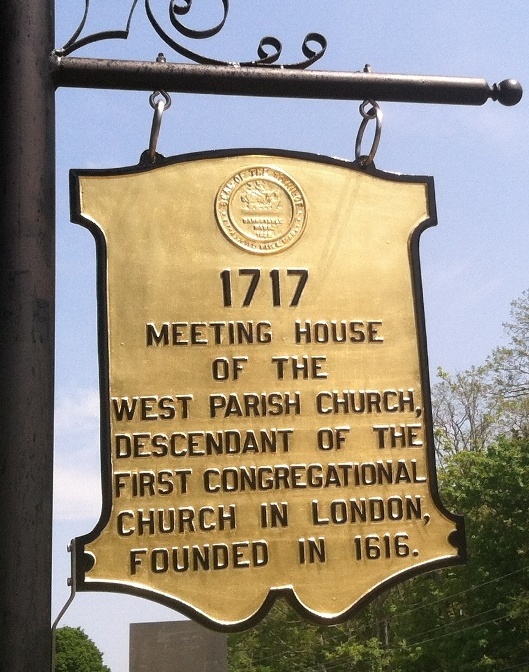 ​In two phases that began in late June and ending in December 2016, the Meetinghouse will have all windows restored. ​Not a "replacement window" project, the original windows will be removed from the building, transported for restoration at a workshop in Boston, and returned to the building (for another 300 years.) Phase one of the project is complete with one-half of the windows restored. The remaining windows have been removed and are being restored. See the October newsletter for more information. 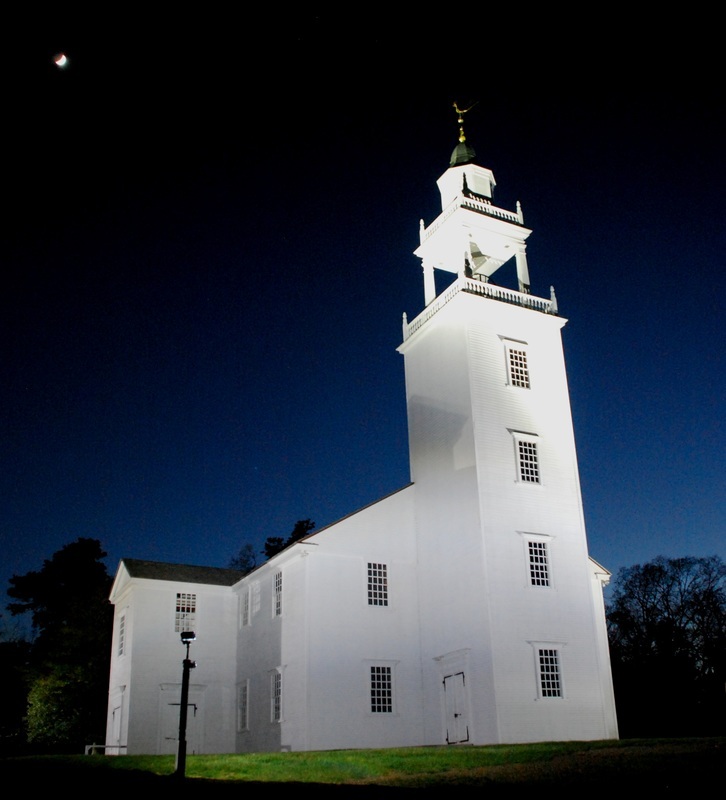 Renewed Exterior Lighting for the Meetinghouse! Because of a generous gift from a member of the congregation of West Parish Church, the Meetinghouse has the new lighting that has been sorely overdue for quite some time. State of the art, low operating cost and highest quality LED (Light Emitting Diode) flood and spot lighting has been installed to help the Meetinghouse display its splendor at night. See it in person! The Landmark Sign Has Returned - Better Than Ever! The Roof - Finally, No More Tarp! View the short video about the Meetinghouse roof replacement here. ​​Join our mailing list or become a member to support maintaining this historic community building. The Foundation remains on a schedule to celebrate the 300th year of this historic structure in 2017 and beyond. Cape Cod, her settlers and the native people who were here first. 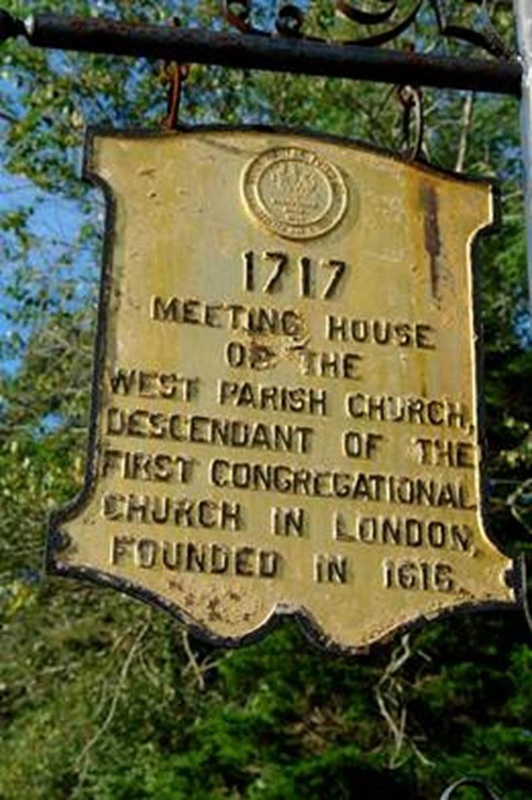 During 2016, we helped the West Parish of Barnstable celebrate the 400th year of their congregation. Please celebrate with us those who came before us and left a legacy that is relevant to this day.